The two English Premier League betting giants in Chelsea and Manchester United seem to have not lived up to their potential. Chelsea, as the defending champions, were expected to be obvious title contenders, but things went south, prompting the dismissal of coach Jose Mourinho. Even if not leading the league, the fans, plus all major online sportsbook are expecting to see them among the top four for what has become the tradition in English football. But then, the unpredictability of the English football is nothing to play with, as the champions are not even in the top 10 currently. On the other hand, Man United--after making a couple of marquee signings--were expected to be where Leicester are today, but they also proved to be flops, to everyone’s surprise. This has prompted rumors of Van Gal’s resignation or at least dismissal in the near future. Despite their performances and respective positions in the league, the two teams did not make any big-name signings in January to spur their seasons back to life. Both teams are seemingly satisfied with what they have achieved this season and will be meeting this weekend with pretty much the same squads they had their stalemate meeting in December 2015. Will we have any goals and a winner this time round? Read on below to find out. 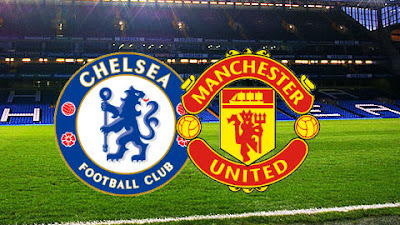 This game is scheduled for Sunday, February 7, 16:00 GMT at Stamford Bridge, Chelsea. It is safe now to say that Chelsea have conceded the league, and their hopes of getting to top four by the end of the season will take something really special. With 28 points this season, they sit 13th in the standings, just seven points above the relegation zone. They boosted their morale with a 5-1 thrashing of MK Dons in the FA cup; this was after beating the highly rated Arsenal away from home in the premier league, thanks to a goal from Diego Costa. If they continue this trend, they might make it to the top ten by the end of the season. On their home turf, they have the tenth-best record in the league this season, winning four, drawing four and losing four. Offensively, they have scored 20 goals at home this season, which is impressive given their form. This onslaught is lead by Diego Costa who, despite being in a bad form this season, has managed eight goals. Against a United defense that has conceded 16 goals away from home, this seems like an opportunity for Costa and the home team to get three points. They will, however, have to do without Willian, Loic Remy and Radamel Falcao, who are all out due to injury. Despite a tough season, United have made a good start in 2016. The only visible dent was the 1-0 loss to the Saints last time out in the premier league. In the FA Cup last weekend, they managed a 3-1 win away from home, with three superb goals from Rooney, Mata and Blind. More notably, they have the fifth best record road record in the league with five wins, three draws and four losses, garnering 18 points along the way. Offensively they seem to improve with every game this year, something that could prove important down the stretch. On the road they have scored 16 goals, but a wobbly defense has reduced this to a zero goal difference after allowing the same number of goals. This offense is led by their Player of the Month contender, Wayne Rooney, who has scored six goals in his six games this year. He seems to have reinvented himself, contributing a number of recent great goals and incredible assists. On the flank is Antony Martial, who is developing into a real headache for defenders. Since his debut against Liverpool, he has proved that he is beyond his age. The last time United played Chelsea, he was a real pain for Ivanovic on the flanks, even hitting the post with an attempt, making him a player to watch this weekend. Defensively, United will enter this game disadvantaged given five of their full backs are out injured. In the last game, they have had to play inexperienced players such as Varela, Cameron Borthwick-Jackson and Paddy McNair in defense, which was rather shaky. Against a Chelsea side that is slowly finding its rhythm, this could turn out to another loss for the Red Devils, unless the youngsters step up. Trend-wise, six out of the last 11 games between these two have ended in a draw. Moreover, United have not beaten Chelsea in 10 games. Despite such trends, United have a very good goalkeeper in De Gea, which should keep them in the game. With that, a draw will be a fair result for both, though Chelsea look more solid and could escape with the win. EPL Soccer Picks: Chelsea 1, Man United 1. Wayne Rooney to score.